← What Will Happen after Facebook? Last Thursday night I was relaxing at home after work. After I ate dinner I settled into my recliner with a blanket over my lap. Arwen jumped up on my lap, curled up on the blanket she loves, and purred. I did not need to go to bed early because I did not need to work the next day. I decided to take it easy that night and spent much of my time re-reading a favorite book from my childhood, Dear Mr. Henshaw . Over the past weeks I have worked to find used copies of some childhood favorites. After reading for a while I stopped to rub Arwen and think. I have not read this book for more than thirty years. Yes, it is a child’s book. So, why am I reading it in my fourties? Part of it is the nostalgia. Sometimes it is fun to slow down and reflect on things I once enjoyed but have not considered for a long time. Reading these books brings back many memories. I do not mean memories of the details of the stories, although that can be fun. Instead, I mean memories associated with the stories: how I reacted to different parts, why I enjoyed this part or that part, memories of sharing the books with friends who also enjoyed them. I read many books as a child that I do not remember or only remember vaguely. 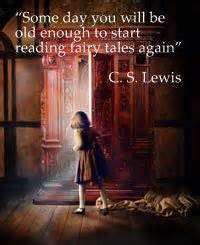 Some books, however, stay with me, even if I no longer have my childhood copies. Think about the books which have stayed with you. These books stay with us for a reason. Which books and why they remain with us will be different for each person, but these are memories we treasure. Sometimes these memories may be buried under many years, but we can bring them back when we revisit our old favorites. That has been part of the fun in re-collecting and re-reading the stories I loved. I plan to review Dear Mr. Henshaw and other childhood favorites in future posts. I already reviewed some of them here. I hope these posts will provide fun reflection for people who enjoyed them many years ago. Feel free to comment if you enjoyed those same stories, and feel free to share the stories you enjoyed as a child.